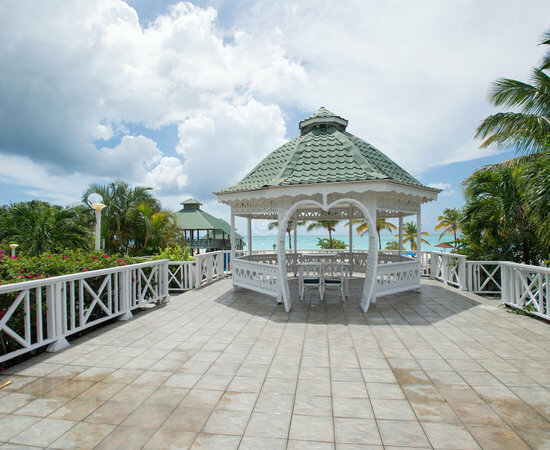 Starfish Jolly Beach Resort is many repeat guests choice it offers extreme value for money- read our reviews. 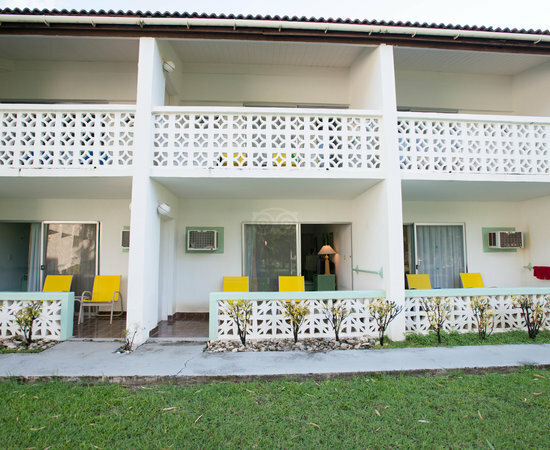 The Starfish Jolly Beach Resort is perfect for those travellers looking for a good, well-run hotel on the beachfront, without the 5* price tag and trappings. 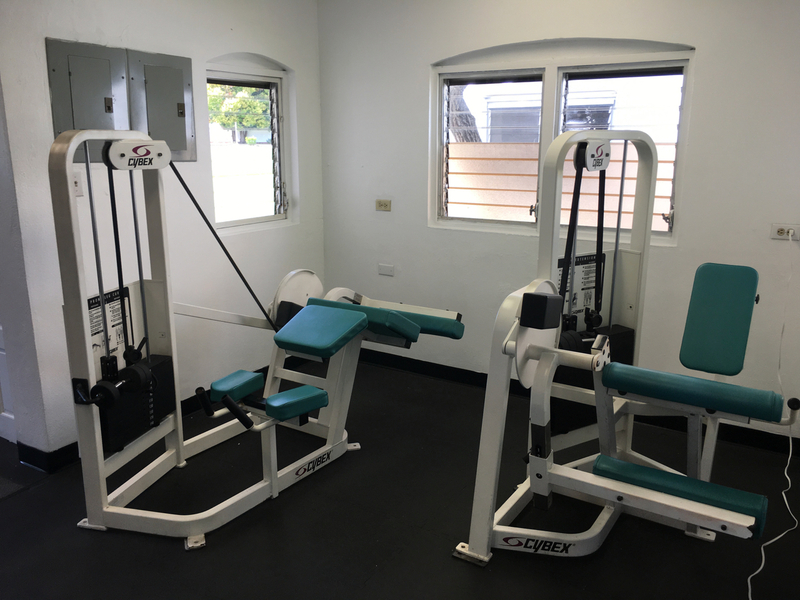 It runs an all inclusive plan that includes watersports food and drinks. Generally, the hotel reviews are what you would expect for a 3* with the staff coming out on top as helpful and accommodating. However, if you choose to book a Super Saver room, the feedback seems to suggest these are very compact and offer little storage for a couple - more suited to a single traveller. The pool area if you are staying in the resort a good few days (you should) is very nice. It does lack a bit of shade now and again but I would give it 8/10. Having such a sizeable area to swim in is nice and the pool bar with all inclusive drinks is addictive of course. All good fun when you throw in the entertainment team. 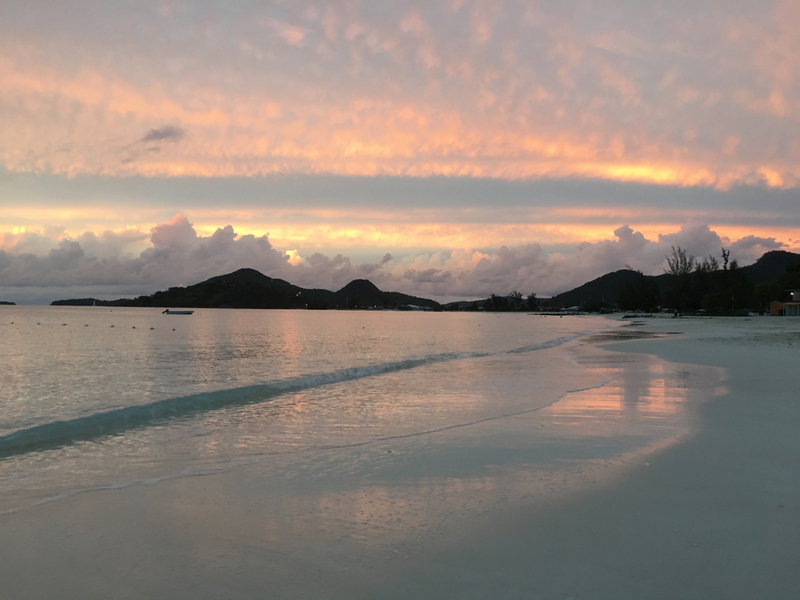 The beach is excellent but we disagree that it is the best in Antigua! Location wise its well placed being quite close to the capital St Johns and in a very vibrant touristic area the South West. Click on the image link below to check this on the AGODA website. AGODA are saving travellers thousands through their negotiated deals. Take Advantage! 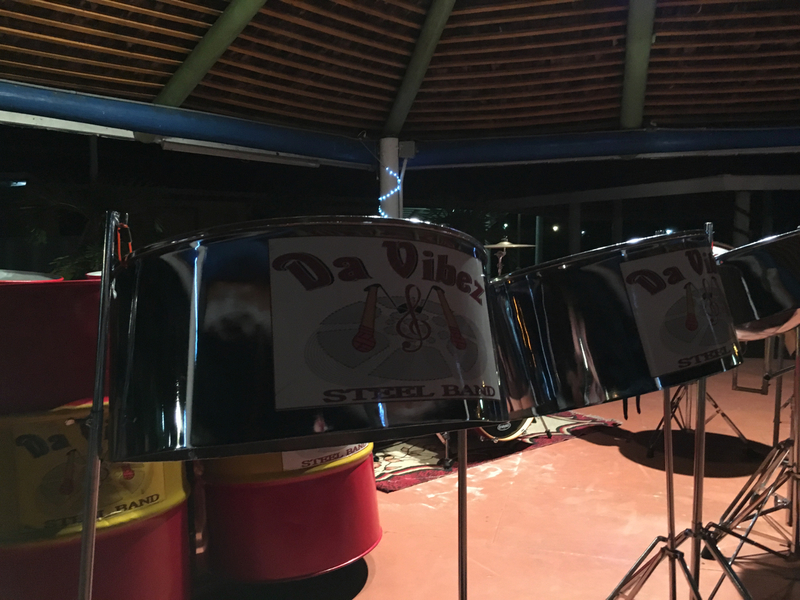 Some local places to check out include all of the restaurants and bars of Jolly Harbour, Castaways has a particularly nice vibe now - you can walk along the beach to this venue. 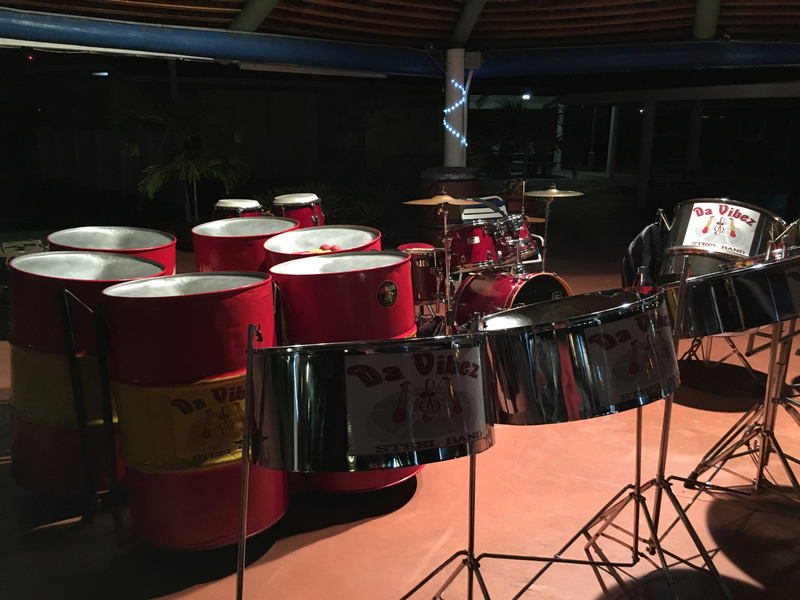 If you fancy some late night drinking music and sport then de underdog bar is right by the entrance to the resort. 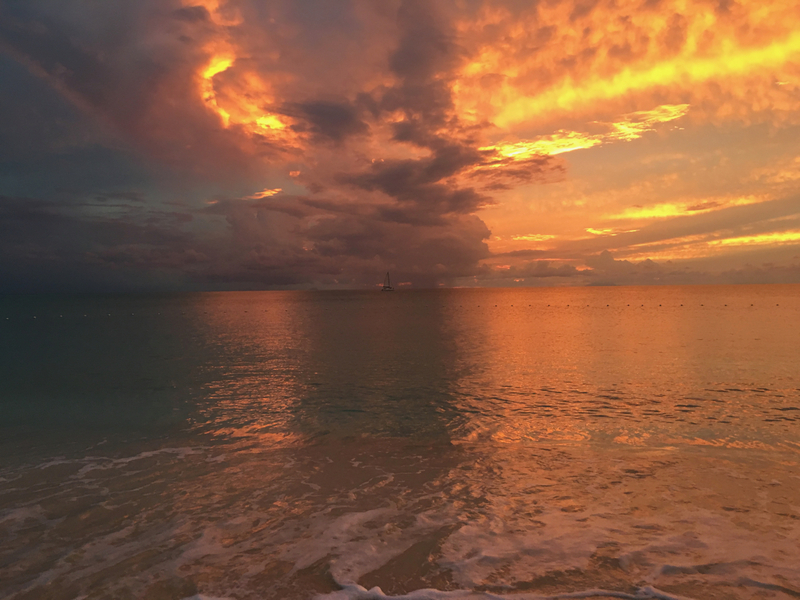 Beaches of note that you might like to visit include Darkwood beach and Love Beach (officially crab hill beach). Sugar Ridge Resort also sometimes has some music events in their public bar. 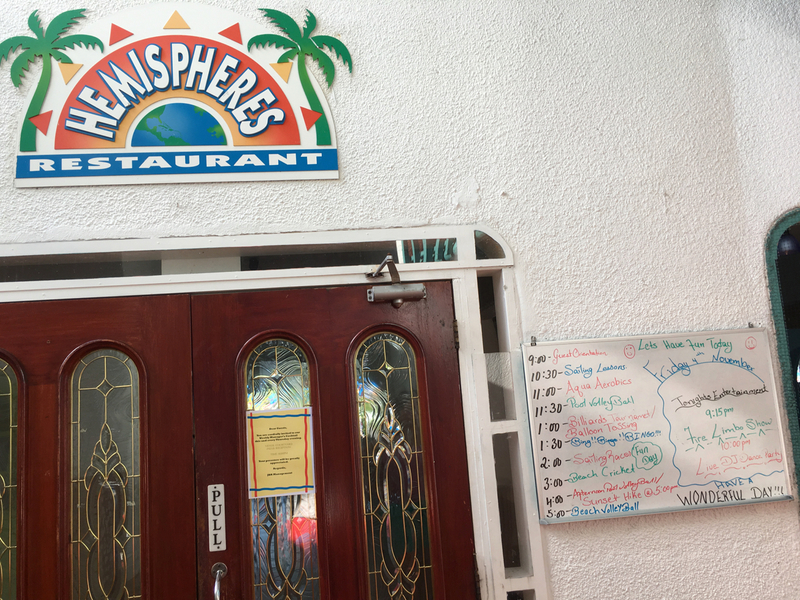 Generally you will find yourself eating int he main restaurant Hemispheres which is indoors and outdoors. The food is ok and sometimes good. I would be suprised if anyone couldn't find something they could eat. 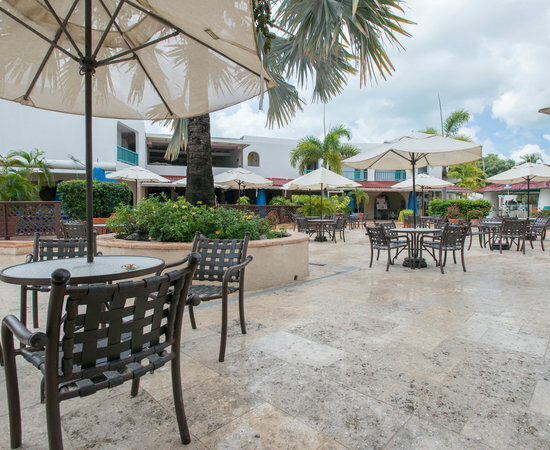 You may also find the pool area snack bar (Coconut Grill 12:00pm to4:45pm ) has great fast food perfect for your guilty pleasure. I especially like the cheese burgers. It can take a bit of a wait to get served but its all within ok times even when the resort is very busy. Other restaurants are Lydias, Bocciolo and a Tex Mex (previously UTSAV indian food). Optional days which require booking and not all included in your plan all from 6:30pm to 10:00pm. These give you a great variety but if you do get bored with Hemisphers buffet we recommend getting out to one of the local restaurants of Jolly Harbour. There is the evening bar a long bar with dancing and entertainment area (make sure you check out some steel pan music one evening) - well frequented for the evenings - the entertainment truly excells and provides an antidote to the aging rooms and general gripes. During the day the main pool which is very large but lacks much shade has music and entertainments ranging from cupcake eating contest, tug of war with 'charm' (a funny talented entertainer (thats his name and manner)), water volley ball, bingo etc..
Don't miss the firedance when it happens during your week and the beach bbq. 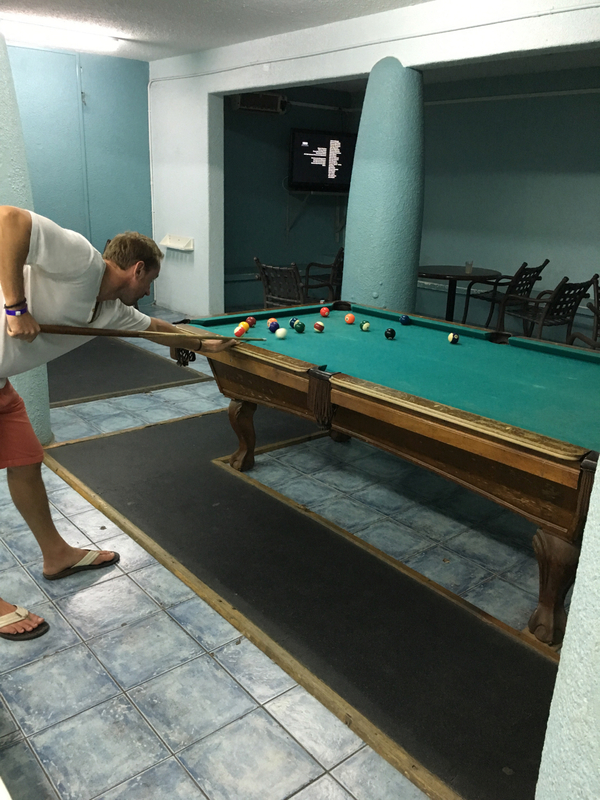 The large pool has a swim up bar - perfect to have a Pina Collada or Rum Punch at while making new friends. One evening you get a chance to listen to the manager Mr Antoine Brown and his key staff as he welcomes you for a drink and canapes in the lovely courtyard area. 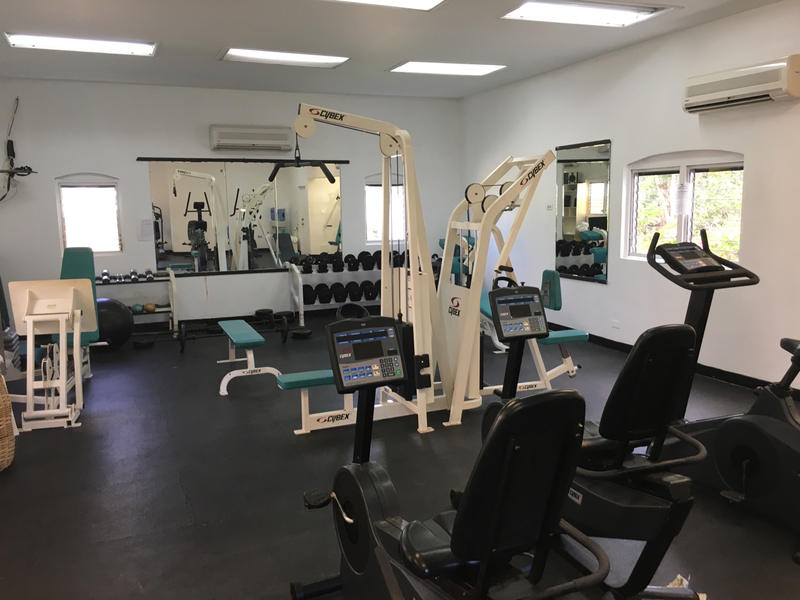 The resort has a very well equipped gym and its worth a look. 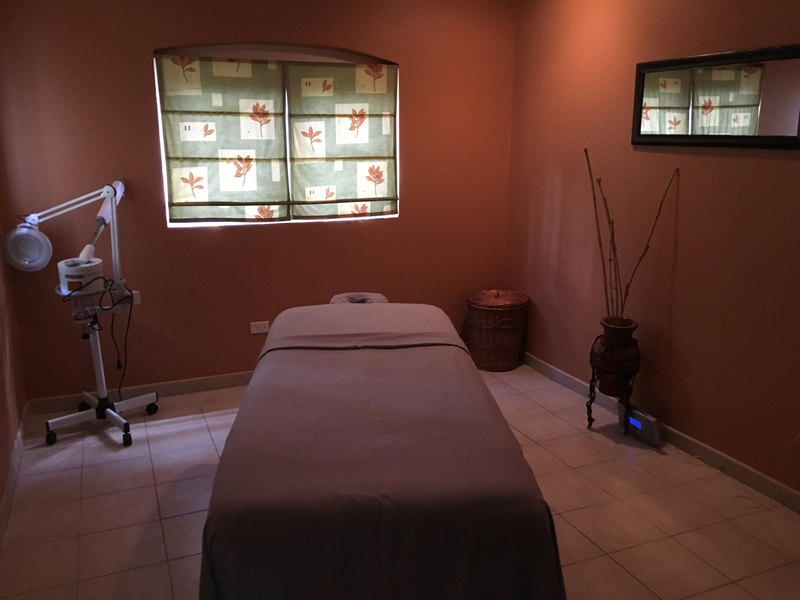 Situated next to the Spa (It is unclear if spa facilities are still available since 2017) which is also ok but not super top - you might like to explore other resort spas for similar pricing but slightly nicer surroundings. Not that the spa isn't pleasent just the prices may be a bit high for the surrounding vibe. TIP - perhaps offer them a deal ? There is a concierge who are ready to help you organise your way around the island but if you take a look at these excursions and tours you can book online directly and save money. Car hire similarly is slightly cheaper to arrange directly from here. 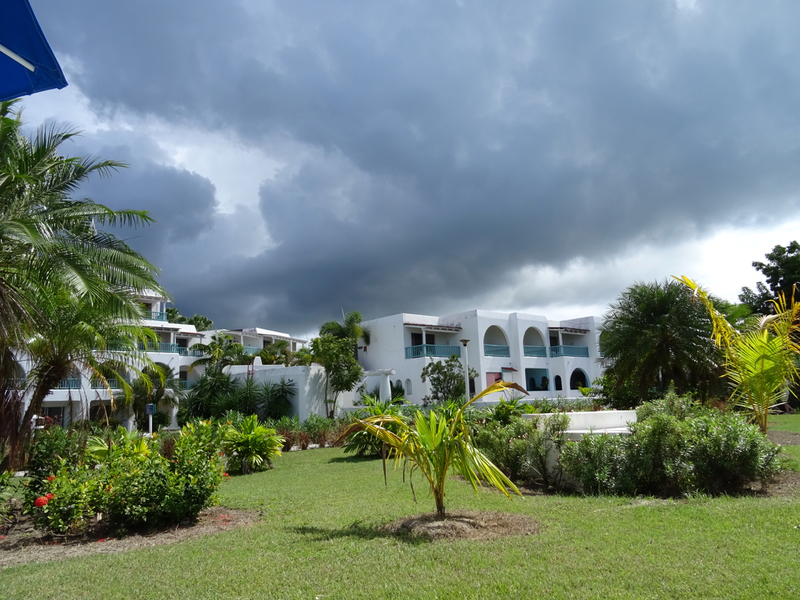 Golf is an option to be paid and arranged separately this is part of the Jolly Harbour complex. Tennis courts are on resort site. There is a games room with ping pong and pool for the young and old. Speaking of the young see the children and kids section. 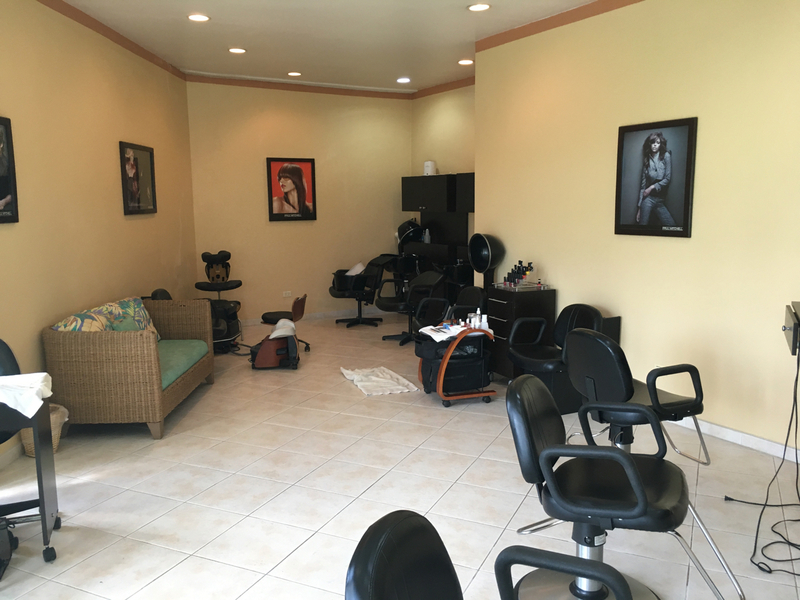 Shopping is well catered for by the single shop onsite which has quite good prices but in USD make sure to take your plane ticket to get your tax deducted. 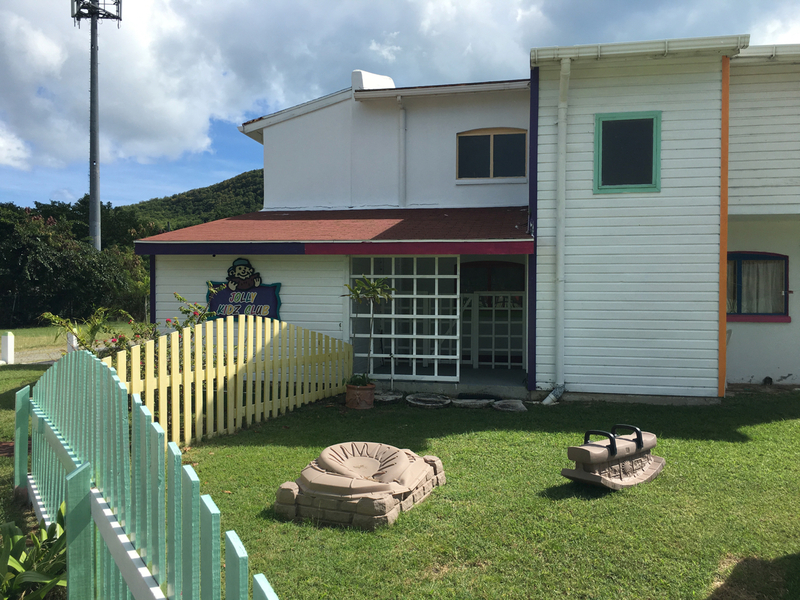 For other items Jolly Harbour has a well stocked supermarket with almost everything you could need. ATM's inside and also around the other shops of Jolly Harbour. Complimentary non-motorized water sports include Windsurfing, Hobie Cat (small catemaran), Kayaking, and Paddle Boats. Free lessons where needed run at 10am daily for example if you have never tried Hobie Cat before. The Water Sports Center is available every day from 9:30am to 4:30pm. You can find guys renting Jetskis from just on the beach - this is apart from the resort offerings. Children 2 and under are free in JBR. Check their website or other booking agents for rates of children 3-11 years old. Depending on numbers and conditions the kids club will operate. 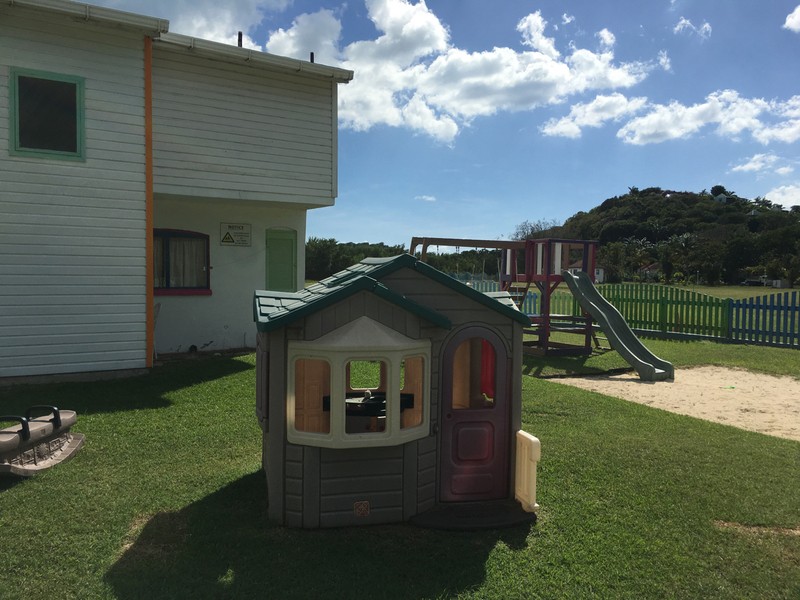 The Jolly Kids Club has a playground, complete with slides, swings and sand pit (try the beach instead;). Supervised activities includes Dance lessons, Caribbean Story Time, Aqua Aerobics, Dodge Ball and much more parents are welcome ! 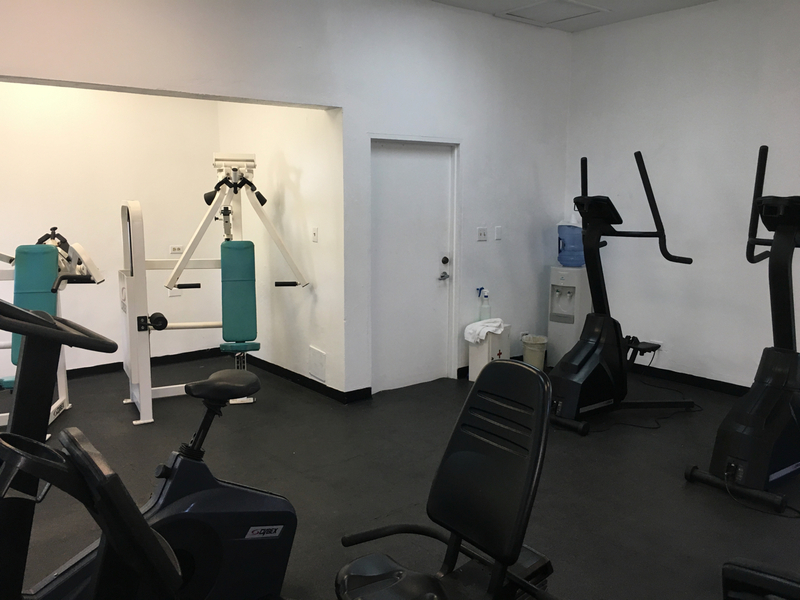 Open Monday-Friday programs start at 9:30am going on to 12:30pm and from 2:30pm on to 5:00pm Evening activities start at 7:00pm and run til 9:00pm, with some Teen nights going from 7:30pm through 10:00pm. The Think Jolly Family Program offers a line-up of three family-friendly activity modules. Parents and kids can sign up for one, two or all three and they’re all included. Babysitting is available fr a modest charge. 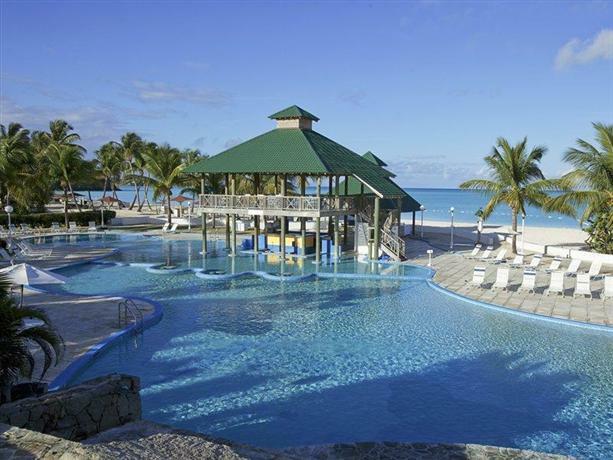 Bravo Antigua Jolly Beach Resort ! Check the prices and reviews on the two engines below for your dates. You can find a good flight deal to get a bargain. With the cheaapest rooms comes the least space as they put it "Best suited for singles or intimate, value-oriented couples" Still with all you really need from hairdryer to a/c and a balcony to enjoy a quiet sitdown in private.No fridge ! A bigger room even ok I would say for a couple and 2 small children at a push. Air-conditioned, hairdryer, TV, direct dial telephone, in-room pay safe.No fridge! These are better suited to families and larger sets. All rooms with two Queen beds, shower and bath, balcony or patio. At this point refrigerators apear. A bit more space than Queen but sigle king bed. Getting married then consider this room set in a quieter more heavenly part of the resort. A separate living space might be right for you but again better for couples. Only 4 on request - close to the ocean these 1 or 2 bedroom varieties these can sleep up to 5. The rooms are finished in a basic stippled artex in white. They are cleaned daily and towels replaced as needed. They seem to have this part of their resort running ok. It should be noted that there is normally NO WIFI in the rooms they do claim to have some rooms with wifi but it needs to be organised separately and this would be reserved for the higer end rooms. But again check in advance using the contact details here. Overall, it would appear most customers have found the location excellent and the beach 5* but have said it could do with some refurbishment. 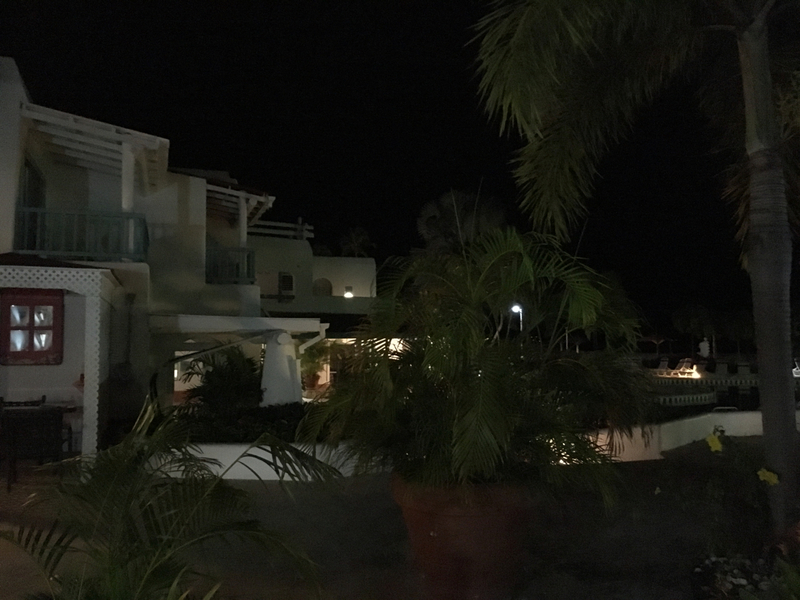 This was our first time in Jolly Beach Resort and we were pleasantly surprised. I was a bit worried about the size of room and we upgraded to the standard instead of the super saver. I didn’t see the supersaver in the end so couldn’t comment on that. Resort food was ok and sometimes surprised me by being good. We ate at the Indian one evening but I was becoming ill otherwise I think it was good. The resort entertainment was I think for everyone. Sometimes not for me other times I enjoyed the pool aerobics and pool volleyball. It’s frustrating trying to play cricket on the beach but again the staff make it funny. The room was clean and everyday tidied well. No complaints with any staff the whole week. The pool could use a little work but if you’re the type of person who can enjoy something or not you will do that with the pool. It’s up to you in the end. Not enough shade is one complaint. The resort looks lovely to wander round and the beach is really excellent. Evening entertainment was fantastic and the guys literally work from early on all through to the evening. 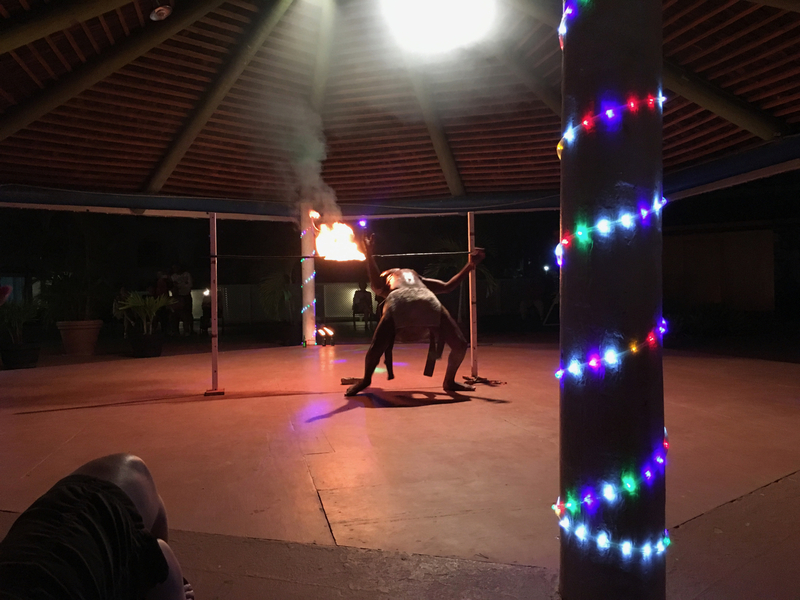 Steel pan music DJ evenings and a Beach fire show you will not be disappointed with the entertainment. The drinks could be better but they work so hard and really they are fine. Jolly Beach Resort - It's almost there. Generally ok but not impressed by some things notably the wifi ! I’m not someone who needs to be on their phone much but I do like to be able to plan things especially when on holiday. You can only get wifi from the reception area where everyone seems to congregate blocking each other up. It’s an irritation at times and they could fix that issue at quite a low cost IMO. I have been here before I might add – about 6 months ago. I thought some things have slipped. Overall the staff work as hard as one can but they are left struggling with their own infrastructure and systems. The beach grill has worked out that having some burgers always on the go is not a bad move! 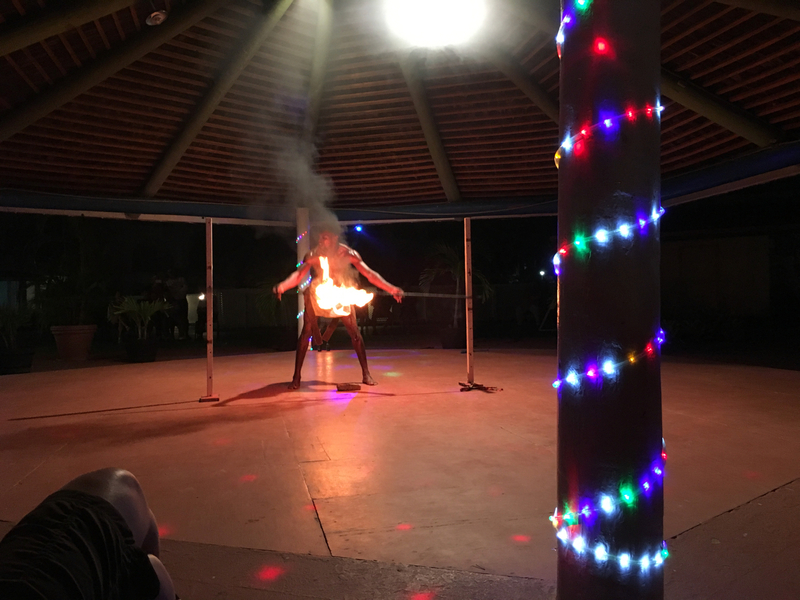 Drinks were not great – mixes, I love my rum punch. On occasion they were better but I felt that there were economising efforts somewhere in the premix. If you don’t get the alcoholic kick from a rum punch having more doesn’t help the sugar syrup kills you. The entertainment staff were fab and I loved their banter and always smiling attitude. In fact the staff throughout the resort need a medal – without them if they ever falter the resort all of a sudden is in need. Not enough shade odd broken tiles around the pool and the stupid towel reserving thing going on – not impressed by that mentality. That’s my fellow man that is but resorts need to stop it too. 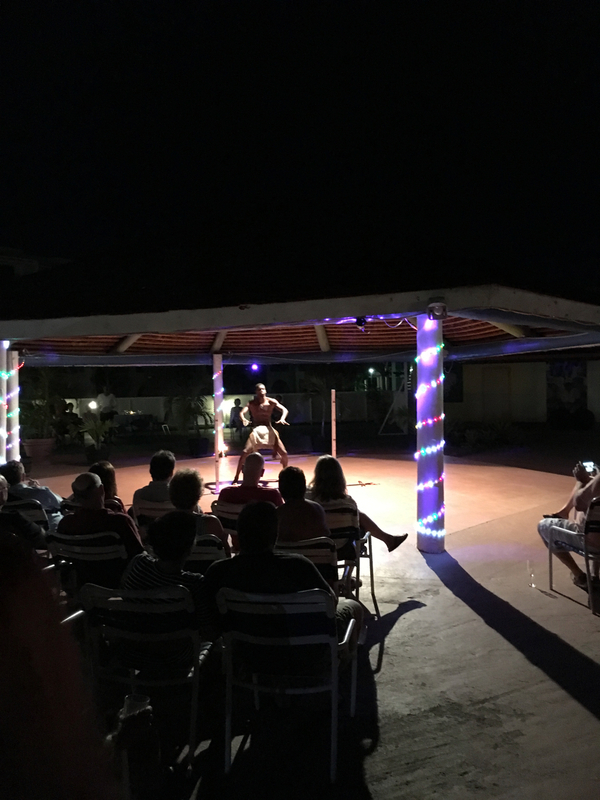 The entertainment is excellent throughout the week great variety and you feel that you will miss something if you head out of resort for the evening. Also there seemed to be a lot of guests and the hot water was often not available. That’s something they need to work on. They could use a pool cleaner at times. I think if you get a good deal for this resort and you are not too fussy then you might find it ok. It certainly isn’t as bad as many on trip advisor would have you believe mind. Please fix the WIFI ! 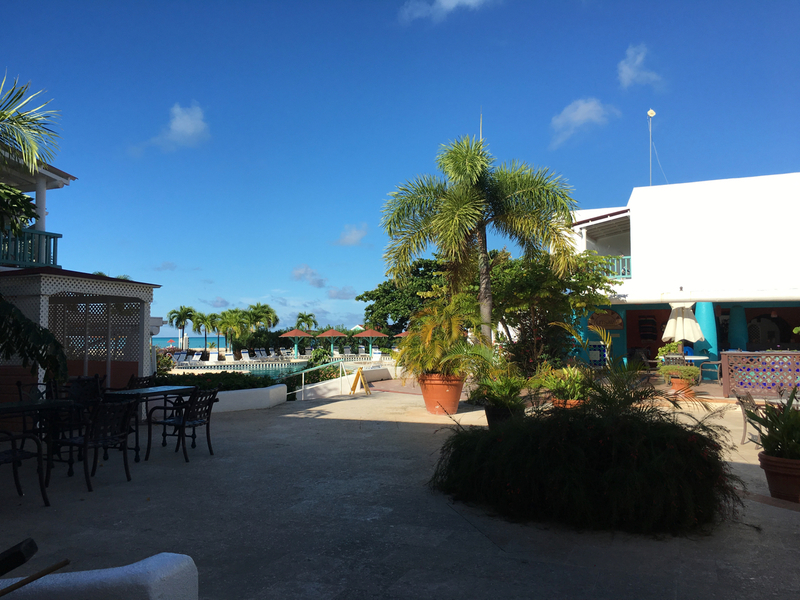 We stayed at the Jolly Beach Resort in February for a week, our second stay in 3 months. 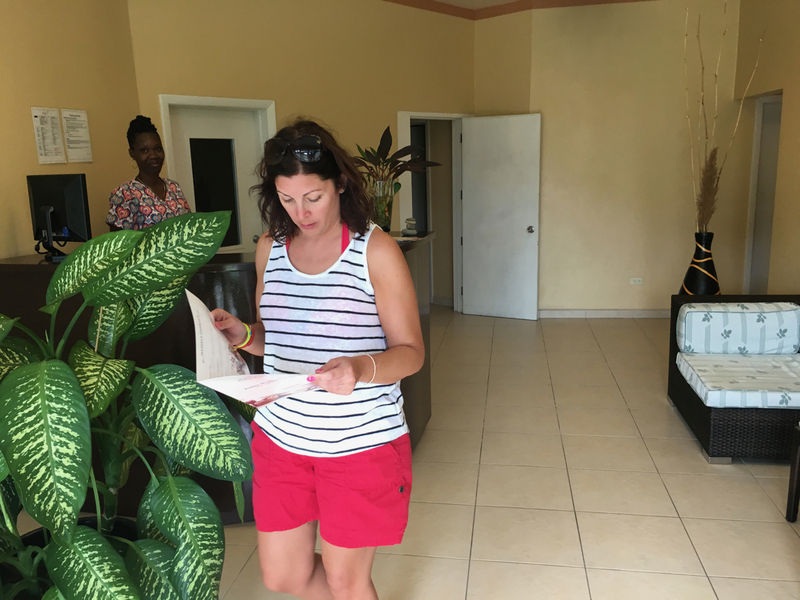 We chose to return as the area suited us as a base for getting to other parts of the island and to have a few options within walking or short driving distance. The resort itself offers pretty much what you would expect for it's price point, with the entertainment team being the biggest positive overall. The food is plentiful and varied, with healthier options available, kids section (I even had some from there!) and vegetarian options. The staff are friendly, though can miss things like taking your drinks order at dinner. The pool was big and had shallow points with submerged stone tables and seats and there is a waterfall wall with plunge pool to one side, which is pretty cool. The only issue with the pool that I noticed was that near the swim up bar there was surface scum and accumulated debris floating. I can see that it's a tricky part to clean, but a little more attention to this kind of thing would lift the general feel in my opinion. The surfacing was also in need of repair in places and could potentially cause some foot injuries...again some minor touch ups could fix this. The beach is a good one, but not the best for me personally. It has pretty calm waters and there are included water activities like the Hobie Cat and kayaking available. 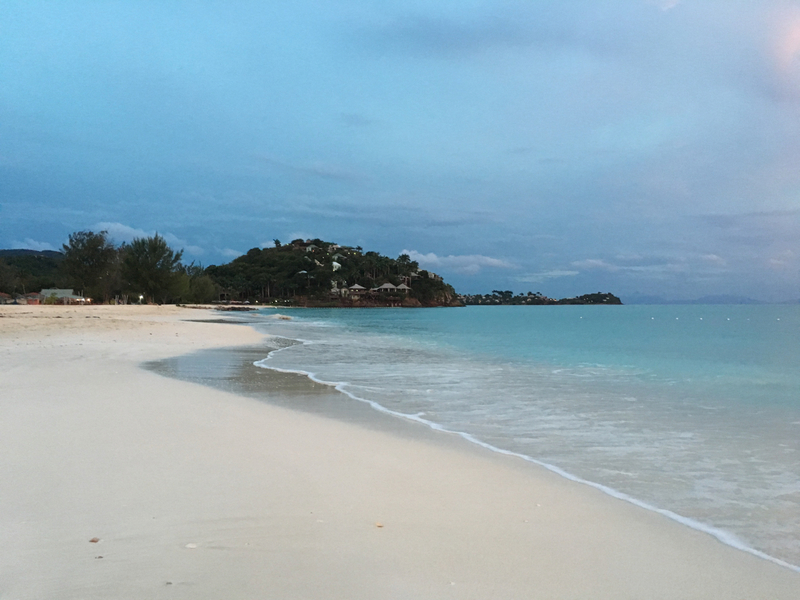 It's definitely a lovely beach to watch the sunset and take a romantic late afternoon stroll. The biggest issue for me was the lack of Wifi. It's there and free in the Reception and lobby area, but it's extremely unreliable, drops out often and more often than not is not available at all. I know holidays are for disconnecting from the rest of the world etc. but I run my own business and found this lifeline being unreliable was a negative for my stay. It meant I had to leave the resort to go somewhere where I could get a signal. 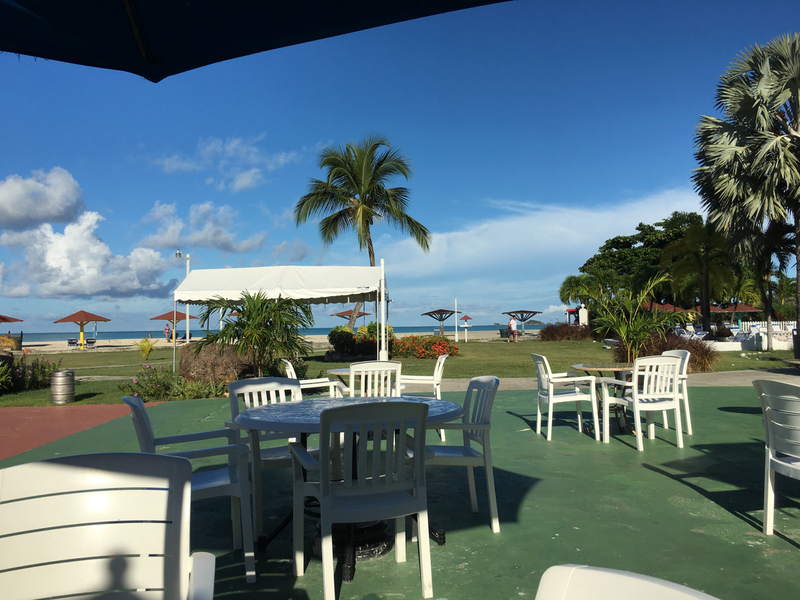 Overall, I would recommend Jolly Beach Resort to anyone looking for a cost effective, all-inclusive resort with the added convenience of being very close to a supermarket and other bars and restaurants, all within walking distance. Usually customers of Jolly Beach Resort allow us to use their photos, here is where we credit them. 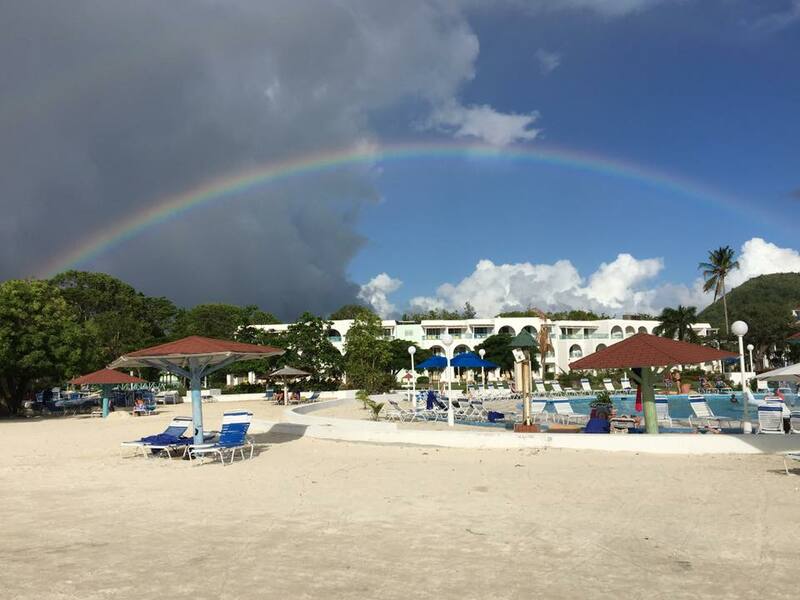 Catherine Kaminski- Rainbow over the main resort building. Best Jolly Beach Facebook Group- the best source of up to date info on the resort from current guests along with past and present. Great track to a nicely made amateur video. JBR is located on South Beach on 40 acres of tropical land. You get a mile of beach to play on. The manager is Antoine Brown. The resort is next to the Jolly Harbour Marina not in it.